Who would have thought this humble shop at Toa Payoh is selling the famous German Baumkuchen (pronounced without the ‘c’), also known as the “tree cake”? Located at the revamped Food Alley at Toa Payoh Central, Wheat Baumkuchen has also just introduced cool noodle dishes, named after animals living in the cold climate such as Dolphin, Penguin, Seal, Polar Bear and the very Christmassy Reindeer. Very cute. 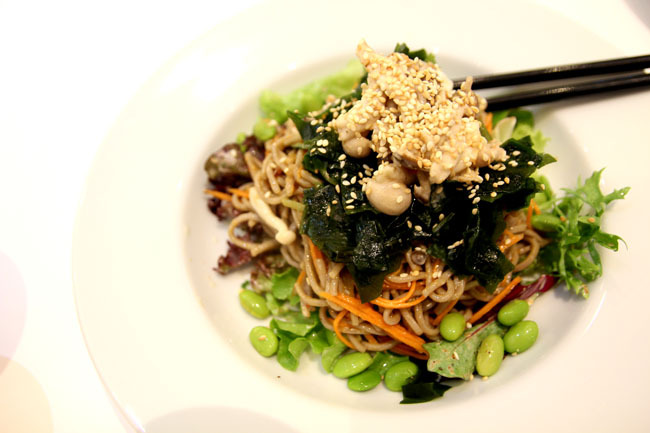 The Reindeer is grey soba noodles with mushroom, edamame, seaweed and sunflower seed tossed in light miso sauce. The cold soba just slips down the throat. 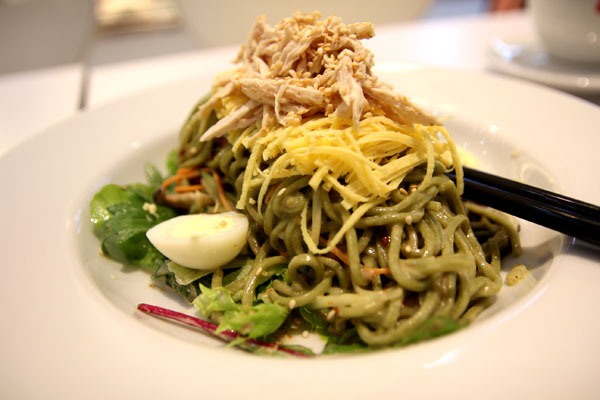 I definitely love this noodles of being lightly flavoured, healthy tasting, and packed with ingredients. Who would have known this dish cost just $4.80 such value-for-money. Full Post at InSing.com -King of cakes found in Toa Payoh!